In a school zone, the speed limit is 25 miles per hour. If a different speed limit is posted, follow the posted speed limit. Be sure only backseat passengers have buckled their seat belts. Be sure only adult passengers have buckled their seat belts. Be sure only child passengers have buckled their seat belts. Be sure all of the vehicle's occupants have buckled their seat belts. 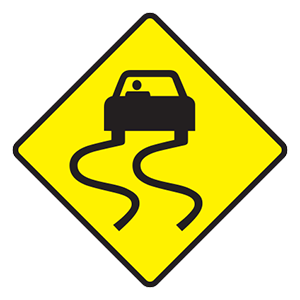 What does a lane control signal displaying a flashing yellow X above a reversible lane indicate? Drivers may use this lane only to turn. Lane control signals are used when the direction of the flow of traffic in a specific lane changes throughout the day. They are used to show which lanes of traffic are open and closed, as well as to show if toll booths are open or closed. 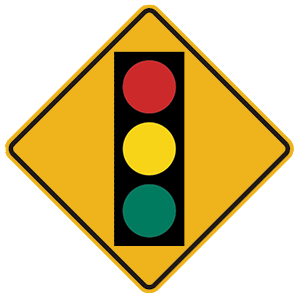 When a lane control signal contains a flashing yellow X, drivers may only use the indicated lane to complete a left turn.